One of my favorite things about the Christmas season is having great family holiday traditions. I think it’s so important for kids to have certain things to look forward to each year. Among our many traditions, we always make time to watch several Christmas movies together every year. You really can’t beat snuggling on the couch in your PJs with some popcorn, hot chocolate and a great holiday film. There are also some movies that I watch without the kids late at night while wrapping presents. I’m listing some of my favorites, I’d love to know what your family enjoys! 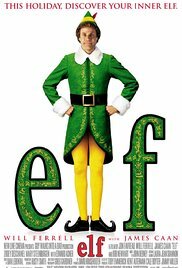 This film is always at the top of my Christmas list. 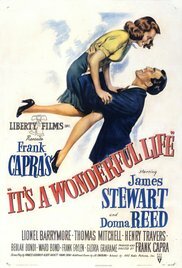 Directed by the legendary Frank Capra, this is the quintessential Christmas classic. George Bailey (the flawless Jimmy Stewart) has an encounter with an angel who shows him what life would be like if he never existed. We have only started watching this as a family in the past few years and it was definitely a hit. There are a few scenes that are intense—Mr. Gower almost poisoning someone in grief and George almost doing himself in—but it really is a fantastic movie about gratitude, family and generosity. How many lines can you quote from this gem? This hilarious take on the holiday season came out back in 1983 and it’s hard to imagine Christmas without a Red Ryder B.B. gun, a hideous leg lamp or a kid getting his tongue frozen to a flag pole. 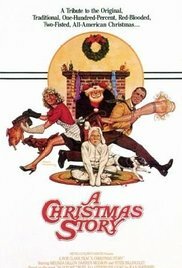 This movie perfectly highlights all of the crazy things that happen at Christmas from over dressing in snow clothes and not being able to move (“He looked like a tick about to pop!”) to wanting a toy your mom doesn’t approve of (“You’ll shoot your eye out!”). It’s the perfect film to embrace with your not so perfect family—and that’s the best kind of family to have. While the 1947 version of this film is fantastic, my kids are not the biggest fans of black and white films so we’ve turned to the 1994 version which is also great. Little Susan Walker (the adorable Mara Wilson) is a jaded little lady who was told by her single mother Dorey (Elizabeth Perkins) that Santa isn’t real. 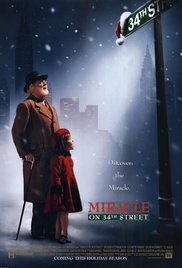 When Dorey hires a man named Kris Kringle (Richard Attenborough) to play Santa for her department store, he helps to prove that some things are worth believing in. Once the kiddos are snuggled all up in their beds, it’s time to enjoy some adult classics! This is one of those films that I hate to admit that I love. It’s not high art by any means, but Ryan Reynolds just has the best comic timing and facial expressions so I can never turn it off when it comes on! 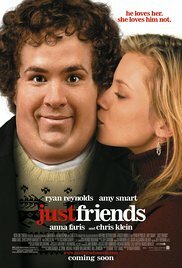 Reynolds puts on a fat suit to play Chris Brander, a heavy guy who happens to be in love with his best friend Jamie Palamino (Amy Smart). After humiliating himself at a party, the young Chris vows to reinvent himself and he moves to L.A. Fast forward several years and Chris is now slim, gorgeous and a top music manager with famous clients like Samantha James (Anna Faris). When a plane emergency forces Chris and Samantha to detour to his hometown in New Jersey during Christmas, Chris encounters Jamie and all of his old feelings return. I especially love all of the scenes of Chris with his brother and his loony mom (Julie Hagerty). Also, having once lived in New Jersey, one of my favorite quotes is “He’s Jersey, he skis in his jeans!” Truer words were never spoken. So you’ve had a rough day battling the holiday crowds, someone stole your parking space at the mall and you’re feeling sorry for yourself. Why not watch somebody having a really bad day to make you feel better? NYPD cop John McClane (Bruce Willis at his finest) heads to L.A. during the Christmas vacation to visit his estranged wife Holly (Bonnie Bedelia). 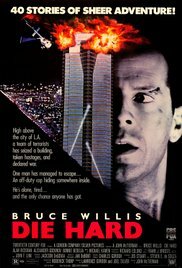 John heads to the Nakatomi building for their office Christmas party but before he can join the celebration, the building is held hostage by bank robbers led by ultimate baddie Hans Gruber (the sublime Alan Rickman). John takes matters into his own hands to save his wife and save the day. Not your typical holiday fare, but we all have to blow off some steam during the busy holiday season! If you have jitters about getting together with your family for the holidays, you’ll realize you have it easy compared to the Stone family. This film is interesting in that some parts are very funny and others make you cringe at how mean these family members can be. Everett Stone (Dermot Mulroney) is bringing his girlfriend Meredith (Sarah Jessica Parker) home to meet the family for Christmas as he plans to propose to her. I’m not sure why because Meredith is one uptight and annoying gal that I sure wouldn’t want to spend forever with! Mom Sybil (Diane Keaton) is not impressed, and neither is Everett’s cranky sister Amy (Rachel McAdams playing way against type). A laid back slacker brother, a gay deaf brother and a heavily pregnant sister round out the family along with dad Kelly (Craig T. Nelson) who tries to keep the peace as the Stones go to war with Meredith. Realizing she’s not winning the family over, Meredith begs her sister Julie (Claire Danes) to join her. This decision only further complicates the holiday and much craziness ensues. There are so many terrific options to watch this time of year including the brilliant Love Actually, the sweet Christmas in Connecticut or the always funny National Lampoon’s Christmas Vacation. Whatever you may watch, I wish you a very Merry Christmas! Announcing the Smarty Winners of the Brilliant Sky Holiday Bundles!